This piece has sentimental value: it was the first piece I made for a client. Solid oak, as was all our furniture then, it took me about a week. It was a satisfying feeling making things other people would use and value. 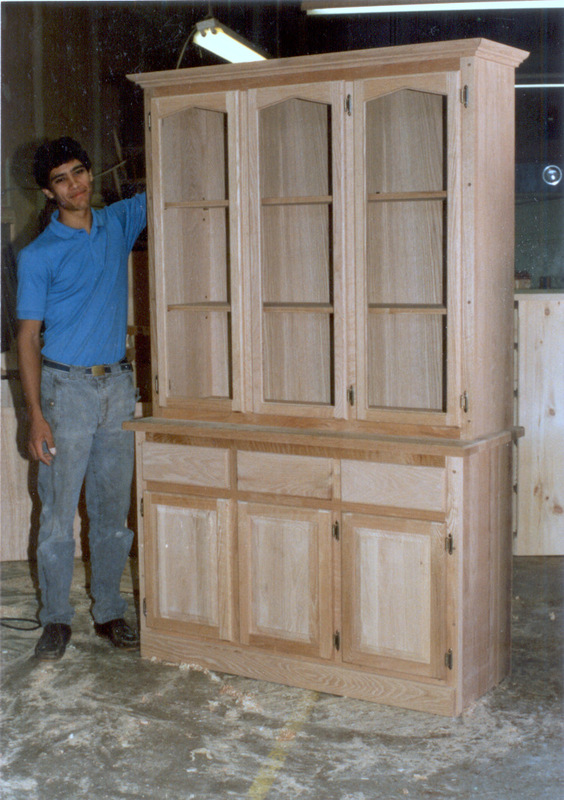 The piece is unfinished as shown and was finished with a dark walnut stain and lacquered.